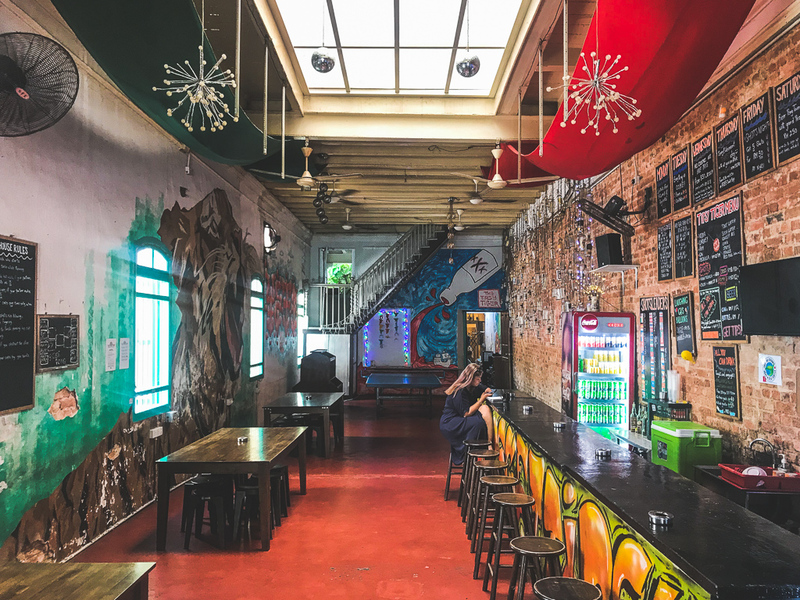 Hikes, street art, wacky museums, and a whole lot of route 6 to drive – see what Penang has on offer. 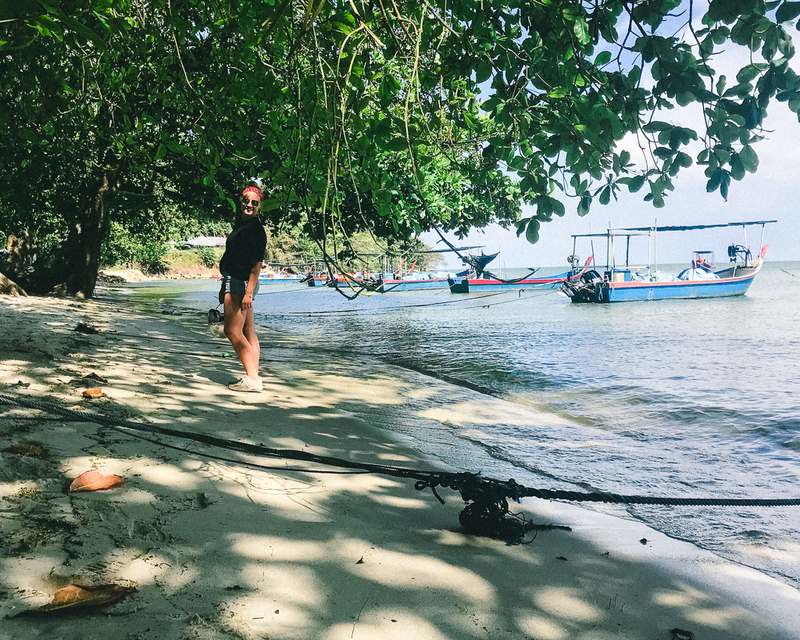 It actually took us a full weekend to get from Koh Tao to Malaysia, with an overnight stay in Surat Thani at “MyPlace Surat Thani”. We had a full day on the bus, with a fast change at Hat Yai plus the border crossing and an hour time difference we eventually arrived at 9pm – phew. After we received a recommendation, Thijs and I have been staying at Tipsy Tiger Party Hostel (I would say LESS crazy than my previous party hostel experience), which is really fun. It’s a huge old clan building with high ceilings and heritage features. The huge common area has a bar and plenty of room for activities, some of the bunks are three levels high – sounds crazy but they’re much sturdier than some of the bunks I’ve stayed in haha! There’s a whole load of rogue “museums” in George Town. Laura, Thijs and I first headed to the “Upside Down Museum”. A very well organised, entertaining and fun experience of standing in bizarre positions in a seemingly empty room. All the furniture and props are on the ceiling. 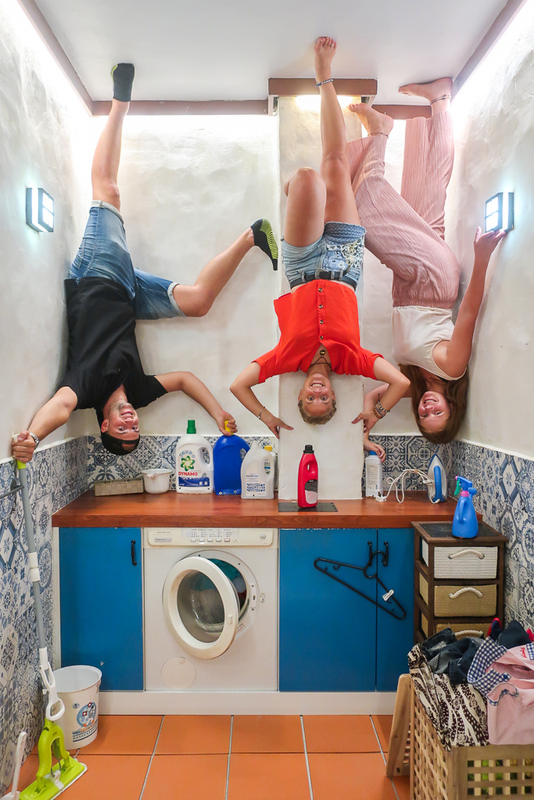 Get in position, take a picture, flip it and be prepared to have a whole lot of laughs of yourselves upside down in every room of a “house”. Another “museum” we visited was the “Ghost Museum” haha. Picture wandering around your classic funfair haunted house, but with facts and the option to dress up too. Sneaky hiding spots, props and weird statues make for a lot of laughs. Other museums I’ve seen on the map include, “Chocolate Museum”, “3D Art Museum”, “Glass Museum”, “PG Gold Museum” and some historical looking ones such as the Penang State Museum. 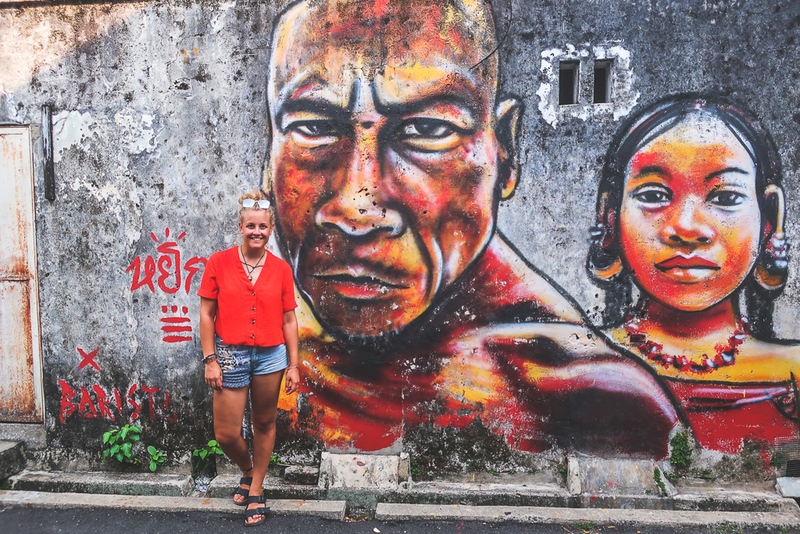 A classic activity in George Town is to of course check out all the awesome street art. Wander around the streets and alleyways to find murals of cats, infamous artwork by London-trained Lithuanian artist, Ernest Zacharevic. Explore streets such as Muntri Street, Weld Quay, Lebuh Leith, Armenian Street, Ah Quee Street to see his artwork. Check out cute shops along the way, my fave was right near Armenian Gardens. 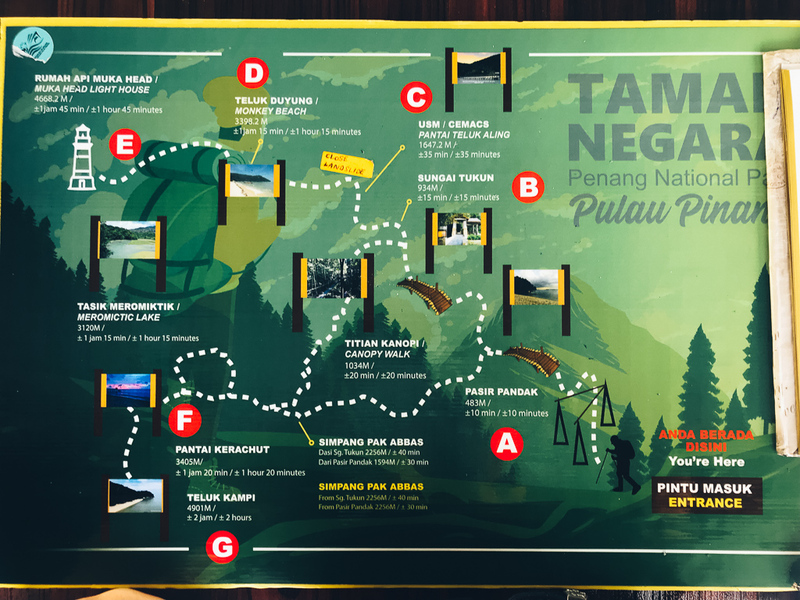 Penang Hill – the highest peak at 833m, reachable by hike or if you don’t fancy it, take Asia’s longest funicular railway to the top. Soak up the views once you’re at the top – it kinda reminded me of Victoria Peak in HK. There’s cafés, shops and plenty of crafts going on, one particular Caricaturist was doing awesome drawings of people. Penang Botanical Gardens – reachable by a number of routes up the hill, some easier than others. Start at Moongate 5 Penang and scramble up another side of Penang Hill using tree roots as steps and grabbing onto whatever you can. Worth to sweat for the view, and there’s a cool little station at the top with tea, coffee and biscuits. Has a real community feel to it as fellow hikers refresh and relax before heading down. 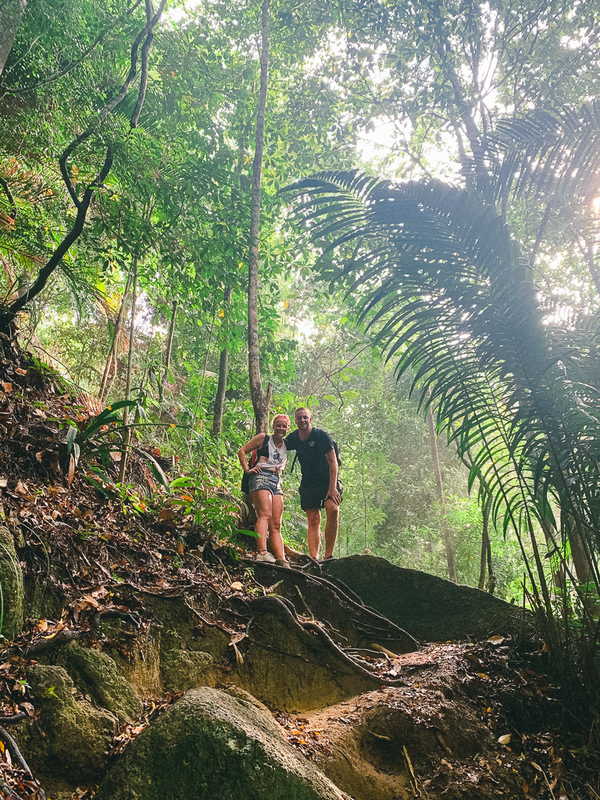 Penang National Park – I have to say I was disappointed by this visit. Our original idea was to take the 1 hour (ish) hike from the entrance to Monkey Beach and then take a boat back. Upon arrival at the park a local (and private) boat company told us that part of the path to Monkey Beach had gone from a landslide so we’d have to take a boat. Okay fair, natural disasters happen but the boat prices were extortionate. I think it was 50 per person, per journey from there to Monkey Beach – that’s around a tenner. So given we’re not made of money, we decided to walk as far as we could and then turn back – all for free, WIN! I did enjoy the hike to Cemac (station C), and there’s some great little beach spots to explore too. See the end of the post for a Map. After so many temples in Myanmar and then missing out during my beach life in Thailand, I was craving a visit to a temple. Luckily Penang boasts the largest Buddhist complex in Malaysia. Kek Lok Si Temple – translating to the ‘Temple of supreme bliss’. Take Malaysia’s first incline lift toe the Bronze statue of Kua Yin, “Goddess of Mercy”, at an impressive 30.2m tall she towers over George Town. The Pagoda boasts Chinese, Thai and Myanmar influence in it’s design too. The combination of all these influences make for a pretty majestic Buddhist site. To get there, take a motorbike or go West on buses, 201, 203, 204 or 502. Route 6 takes you around the whole Island, with plenty of opportunities to take side roads, and if you’re lucky like Thijs and I were, find roads that end up as dirt tracks in the mountains. I’ve noticed that Penang was a lot more western than many of the other Asian places I’ve visited. Notably the road systems are much more organised; sure Motorbikes wizz around between cars and vans, but there’s one way systems, real roads with signs and markings too. That developed feel is prominent throughout the Island with huge housing developments, nestled between normal Malaysian street life. Impressive though they are, I much preferred the chilled and more local vibes of the street food we had en route, and even the colonial vibes in George Town. Which I have to say definitely has a European vibe to the buildings etc. From what I’ve heard there’s plenty more to do in Penang that our time has allowed. Fancy shopping? Head to Gurney Plaza. Looking for a food court? Try Goodall Café, a wide variety of local food, all for a really great, cheap price. Have you been to Penang? Do you have any recommendations?